Every year, the HIMSS Annual Conference attracts over 40,000 health IT professionals from around the world who come to learn about the next big thing in healthcare technology. But one key sector is notably absent — the marketing team. Organizations are missing a huge opportunity here. With the consumerism of healthcare compelling provider organizations to differentiate on retail value propositions like cost, convenience, and customer experience, the time has come to tear down the boundaries between healthcare IT and healthcare marketing. Across all other industries, marketing is quickly becoming a technical, data-driven discipline. A Gartner survey found CEOs feel two of their three most immediate technical needs are better capability in digital marketing and customer experience management. Both of these areas fall under the purview of the chief marketing officer. As a result, more marketers are spending larger portions of their budget on technology. So much so, Gartner estimates marketing executives will spend more on technology than their chief information officer counterparts this year. Mostly gone are the days of spray-and-pray print campaigns and expensive ad buys — among the new expenditures are innovative solutions for data-driven marketing and digital media buying that will change the way consumers are targeted and engaged. Marketing leaders are also spending on data collection to help them gain a broader understanding of who they should be targeting, where and when they should be targeting them, and how. As such, healthcare marketers should not only attend the HIMSS conference but also serve as a catalyst to bring IT executives and clinicians together to integrate consumer data and provide seamless experiences that drive business results. Consumer experience drives business. Outside of healthcare, retailers and service providers have developed best practices and increased customer engagement through better experiences, added conveniences, dynamic online experiences, and extensive choices for years. Unfortunately, the healthcare industry has fallen behind by not truly treating patients and potential patients as customers. Massive amounts of tools and information exist online, so today’s consumers make smart, informed decisions — even healthcare decisions — in a different way. They research, ask for opinions, read online reviews, educate themselves, and weigh their options all before making that first phone call. To successfully turn healthcare consumers into loyal patients, an organization’s message needs to be timely, personalized, relevant, contextual, and delivered across the optimal mix of channels. But the job isn’t over when healthcare consumers become patients. Marketers need to continually engage and nurture consumers with valuable information and content. According to Accenture, consumers are just as likely to switch providers as they are to switch hotels. Earning loyalty requires valuing consumers’ feelings, opinions and experience across touch points. The first time a patient encounters an organization online — the first phone call, the experience with a provider, how clinical and billing departments behave — it all matters. And in the digital age, consumers’ voices are louder than ever. Higher deductibles and co-payments, greater transparency into provider performance and costs, the rise of network narrowing, and increase in provider-led health plans have caused consumers to become more involved in healthcare decision making. The newly empowered healthcare consumer brings high expectations and preferences about how and when they desire to engage digitally with a healthcare brand. A Strategy& survey found only 49 percent of healthcare consumers are currently satisfied with their overall consumer experience, and 80 percent of those same consumers want to engage with their healthcare providers and facilities through digital tools and services for better care management, but less than a quarter currently do. This gap in desire versus reality is exactly where healthcare marketers need to provide competitive experiences to stand out and help drive revenue or risk losing a significant portion of it as every customer experience failure costs an average 65 percent revenue loss. Provider organizations that deliver a valuable, personalized digital experience are building trust and loyalty that result in top- and bottom-line improvements including greater return on marketing investment, increased patient acquisitions, higher revenues and contribution margin, improved outcomes, reduced delivery costs, and greater patient satisfaction. Just as their retail counterparts have done, progressive healthcare leaders must bridge the gap between traditional and digital encounters and embrace the power of marketing to improve brand awareness, perception, and loyalty at the most impactful touchpoints. Embarking on this effort requires careful planning, deep alignment, and a sustained effort from stakeholders across the organization. It also begins with developing a deep understanding of the process that consumers go through in researching symptoms and health conditions, selecting a provider, scheduling an appointment, evaluating their treatment options, and managing their day-to-day health. Executive leadership must gather clinical teams, IT professionals, and marketers together to work collaboratively to define a strategic roadmap to guide technology investments that enable a great consumer experience, with patient engagement at the center. Through this process, the organization can drive consistency in the experiences consumers have with its brand from the “moment of truth,” when they first experience and begin to research a symptom or condition, onward. As leaders plan their strategies and investments, they need to keep the guiding principles of consumer engagement in mind and bring the marketing team to the table — and to HIMSS. By leveraging principles of personalized experiences, multi-channel access, and technology solutions structured to provide value and meet consumers’ increasingly sophisticated expectations, healthcare systems will certainly embark on creating meaningful, lasting, and loyal relationships with their consumers and patients. Ultimately, by joining forces across the clinical, IT, and marketing teams, healthcare systems will set themselves up for success in the new era of healthcare consumerism. As senior vice president and general manager of marketing and communications, Kyra Hagan creates the marketing strategy and oversees the programs that create demand for Influence Health’s consumer engagement products and services. 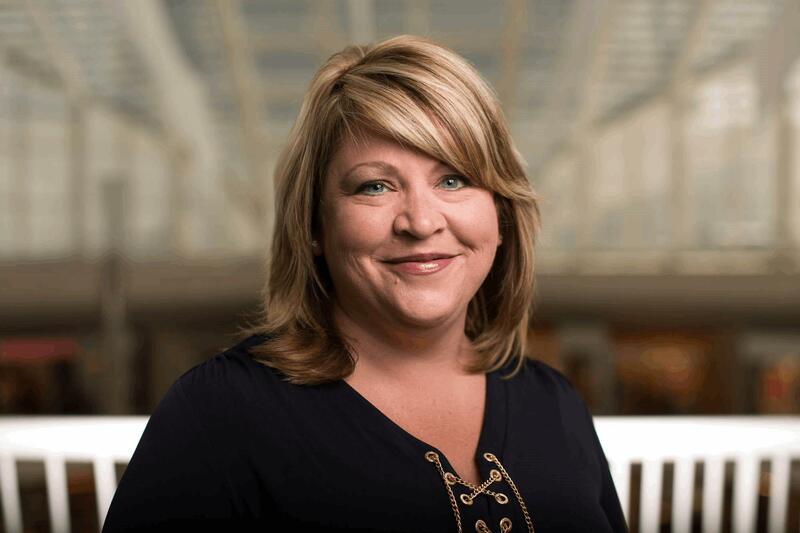 For nearly two decades, she has served in a number of leadership roles at Influence Health and Cerner Corporation, where she has built and led high performing teams in the development, delivery, marketing and sales of cutting-edge healthcare information technologies. For more information, visit InfluenceHealth.com.